Although most dogs lack appreciation for the process and require time to adjust to it, clean ears help prevent infection and ear problems. 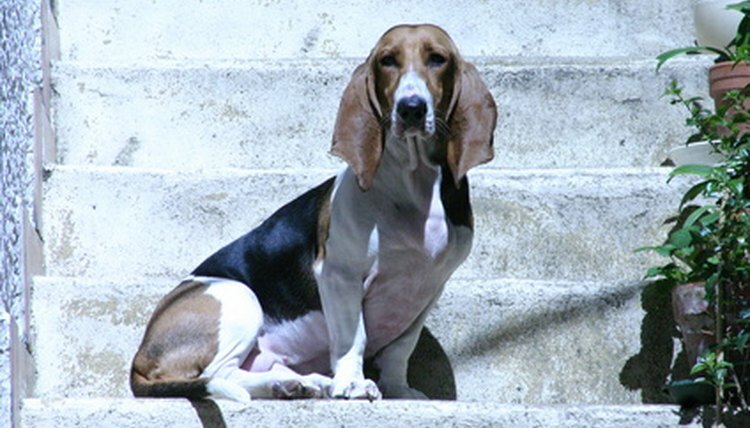 The importance of cleaning increases in breeds with heavy ears, such as the basset hound, due to higher infection risks, according to WebMD. Making your own cleaner decreases the cost by eliminating the commercial products. Often, you already own the ingredients you need to clean and maintain the health of your dog’s ears. 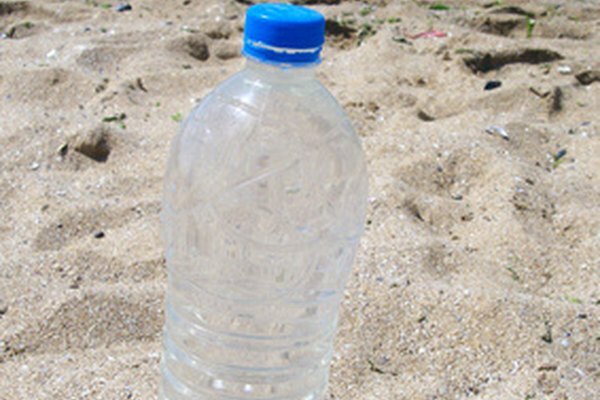 Place purified or filtered water in the bottle. Place the bottle into a bowl or container with warm water to heat it or allow it to reach room temperature if cold. Pour the water onto a cotton ball, washcloth or other material to gently rub and remove all dirt and materials from the outer ear. Fill the bottle with 1/2 purified or filtered water and 1/2 vinegar. Replace cap. Gently shake to mix. White vinegar provides basic cleaning for most ear debris. Apple cider vinegar may help dogs decrease the amount of yeast, especially those with a history of yeast infections. Fill bottle with 1/3 each of purified or filtered water, vinegar, and rubbing alcohol. Replace cap. Gently shake to mix. Apply to cleaning material, not the ear. Alcohol helps remove earwax, according to Vetinfo. Alcohol burns inflamed material, so inspect the ears closely before applying a mixture with alcohol. Dry your dog’s ears thoroughly after cleaning to prevent irritation. Clean the ears at least once a week. Trim or pull excessive hairs to help increase airflow and make cleaning easier, advises Washington State University. Use cotton swabs such as Q-tips only on the exterior areas such as between cartilages of outer ear. Keep solution bottle tip clean by avoiding contact with cleaning material. Mix only the amount needed for each cleaning and dispose of unused product. Taping the basset hound ears to the top of the head occasionally helps the ears receive more air and dry. Take your dog to the veterinarian if it shows any symptoms of an ear infection, such as shaking its head, redness, swelling, bleeding, discharge or drainage, and foul odor. Look for excessive ear wax that indicates parasites or infection. Infections and parasites such as mites require veterinary attention, not home treatments, according to Vetinfo. Untreated ear infections may result in serious problems including deafness and death. Cleaning too frequently or using too much solution may increase ear problems, according to Washington State University. Do not pour solutions directly onto or into the dog’s ears.